Brianna Diaz, Dave Therrien, Bob Wakefield, Wendy Hess, Barry Hess, Van Mason and Brentin Hess. 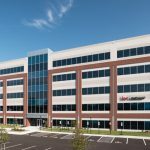 BALTIMORE (November 14, 2017) – Keller Williams Realty, Flagship of Maryland, the local affiliate of the largest real estate franchisee in the country by agent count, has signed a new lease with St. John Properties, Inc. for nearly 24,000 square feet of space within 231 Najoles Road at the I-97 Business Park in Anne Arundel County. Representing the inaugural tenant in the five-story, 126,500 square foot Class “A” office building, which was delivered this summer, 400 licensed real estate agents are expected to work from the location. Keller Williams is occupying portions of the first and second floor and recently moved into its new space. 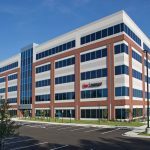 Previously Keller Williams had been located at 1111 Benfield Boulevard, a two-story office building within the I-97 Business Park. 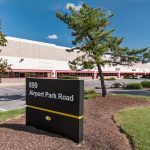 I-97 Business Park is a 67-acre business community located on Benfield Boulevard in Anne Arundel County, which presently consists of eleven office and flex/R&D buildings comprising approximately 500,000 square feet of space. The project is within close proximity to Interstates 97, 695, and 95 as well as MD Routes 295 and 32, providing rapid connections to Annapolis, Columbia and Baltimore as well as Baltimore-Washington International Airport. Free parking is available throughout the business park and the immediate area is serviced by numerous business amenities including fast-casual and sit-down restaurants, retail centers and hotels. 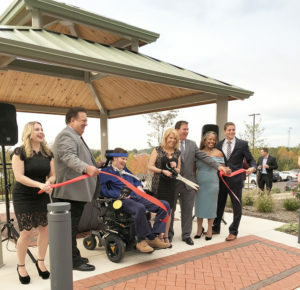 Keller Williams Realty, Flagship of Maryland was founded in 2004 and consistently executes more than 2100 transactions annually with a volume exceeding $600 million. On average, the residential real estate brokerage firm sells approximately 175 homes each month. Keller Williams maintains a national headquarters in Austin, Texas and operates more than 840 offices throughout the Americas, Europe, Africa and Asia with more than 164,000 agent professionals. In addition to providing services for the sale of residential properties, the company has diversified into commercial, farm and ranch properties.